Cass Sculpture Foundation is a nonprofit organisation that enables and inspires artists through exhibitions, projects and the commissioning and sale of artwork. 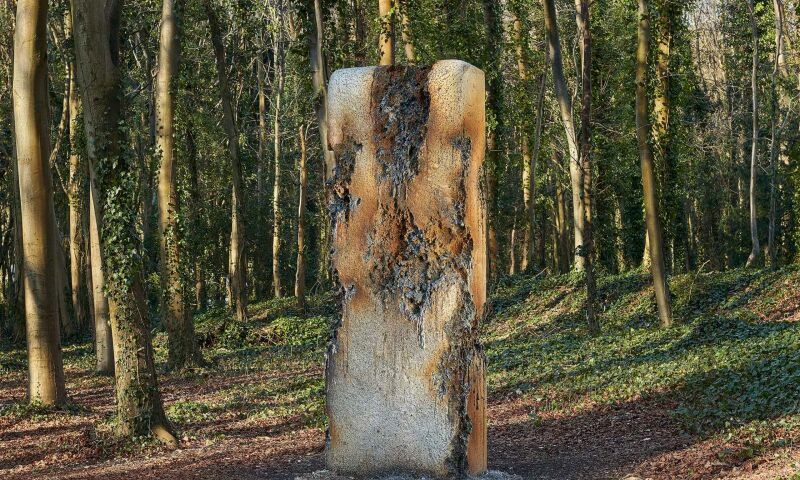 Since the charity was founded 25 years ago, it has helped create over 400 large-scale sculptures for exhibition in the stunning 26-acre woodland site. In addition to developing new opportunities for artists, the charity is also committed to increasing public engagement in contemporary sculpture. CASS is open to visitors throughout the year and organises a diverse exhibition and events programme. Photo: Declination (2005) by Tony Cragg in the grounds of Cass Sculpture Foundation (Courtesy of Cass Sculpture Foundation). James Balmforth, Boundary Interface, 2018. Only open April - October.